Hi , i have read that on another post you add great results with low carb, what is your experience and do you still limit your carbs or just when you get ready for a contest ?? Thanks , i am also getting good resutls with low carb but been on for about 3 weeks so i guess its not long enough to get the full effect of this diet. I also carb up on weekends, less when i started maybe one day but now that i really in the diet in carb up 2 days in a row, weekends. Also on saturday i eat almost what i want, get hard becose you really lose the taste and craving for carbs so you have to force yourself to eat some ( and not feel guilty about it ). So far so good i have lost about 10-11 pounds, i know it mostly water weight but my pants are getting looser by the week. I have tried high carb diets moderate protein and low fat before but they just didnt work for me. I also add a huge sweet tooth that didnt help for treats and candy. I tried a high protein low carb low fat, that didnt work that well either i lost weight and most of my muscles too. I try to eat very close to 2000 cals a day on the low carb diet, eating moderate protein and replacing the rest with good fats. I have lost some size but i can live with that becose the gut is going and the lovehandles are melting week by week so its well worth the effort. Like i said now that my first 3 weeks are done i will carb a whole 48 hours ( i have also ordered the book bodyopus), this should but back some muscles that i have lost during the week. 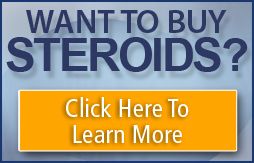 I am steroid free and have been for over 2 years since i last got scammed with winstrol and deca . I really hope that i can get all the benefits of this diet and get shredded even if i am not using steroids . Well my diet is based on bodyopus it's a great book, i just don't follow same workouts. I only carb up one day, and no i eat everything i can find when i am not dieting for show. I am on low carbs, moderate fats and high protien. You are going to have a hard time without any gear holding all your muscle. Also timing of carbs is import, what few carbs i get i take them before 4:30pm, then i workout and have not much is system for night execpt protien also insures that for morning cardio i am tapping in my fat stores even faster. Now having said that without t3 you may want to keep carbs up a big higher say 100-120g per day, so you liver can produce t3. key is to test out a few things and see what works for you. And again bodyopus will be big help to you. One of best books i have read in terms of bbing.